The neighboring cities of San Antonio (my hometown) and Austin (my current town) are completely different animals; even though they're 80 miles apart, it may as well be 8 million miles apart. Among the divisive issues, there's the topic of breakfast tacos, or the claim that "SA is the next Austin." But the truth of the matter is San Antonio stands on its own as an ever-evolving badass town, particularly when it comes to eating and drinking. Austin’s food and drink scene could do well to take a page from San Antonio’s culturally rich book. And by “take a page,” I mean copy it, immediately. Anyone who has ever had an O.G. puffy taco in San Antonio (Henry’s Puffy Tacos, Ray’s Drive Inn, Oscar's Taco House) knows what I’m talking about -- fried corn meal that puffs up as it hits the oil is then filled with cumin-laced picadillo or shredded chicken with iceberg lettuce, chopped tomato, shredded cheese, and guacamole (add .50 cents). 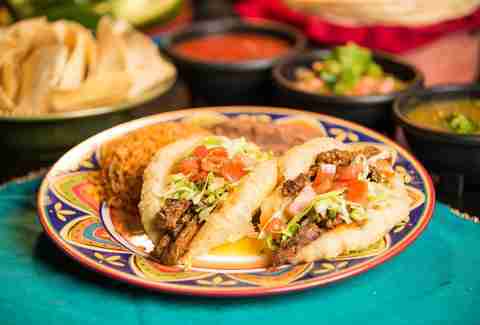 The result is a deliciously messy taco that should be done more often, and done well, at every Tex-Mex spot, including our beloved chains (ahem… Tacodeli). 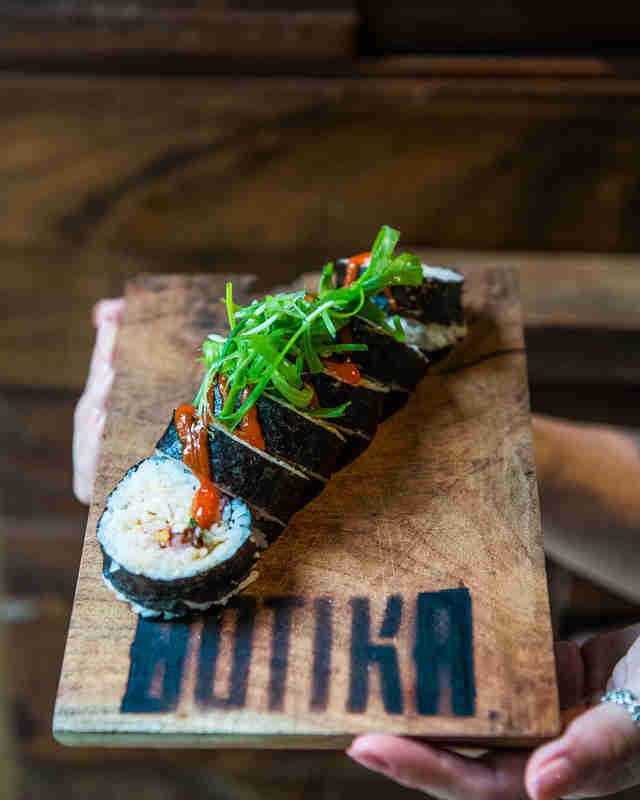 New restaurant Botika located at the Pearl Brewery in SA combines "Chifa” (Chinese-Peruvian) and “Nikkei” (Japanese-Peruvian) into one amazing concept. 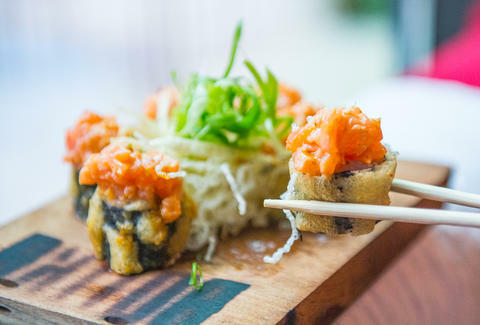 Diners can expect a sushi-ceviche bar and a variety of cocktails that include rums, piscos, and cachaças. We all know New American cuisine rules in Austin, but it wouldn’t hurt to see more colorful combinations… Icelandic-Tex-Mex, anyone? 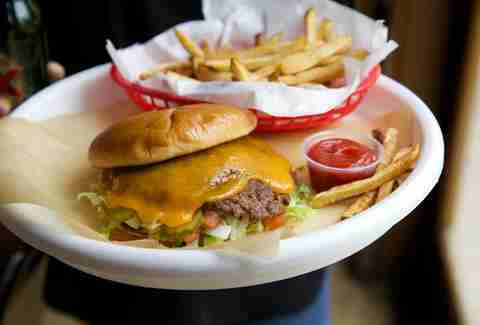 This is not to say that restaurants and bars in Austin have bad service -- far from it -- but there is a subtle difference. Many food and beverage people in SA are lifers -- I’ve met great folks who have been serving for 35+ years -- and the service industry is their main (and long-term) source of income, whereas Austin is a city with a lot of transplants and students, so naturally there’s more industry turnover. So, what can we learn here? Well, we can’t eliminate Austin’s turnstile-like coming and going of people, but we can follow in the gracious footsteps of SA’s Boulevardier Group, which owns cocktail bars The Last Word, The Brooklynite, Rumble, and Stay Golden Social House. They offer a complimentary shuttle on weekends so that patrons can bounce around between hotspots. Yesssssssss. 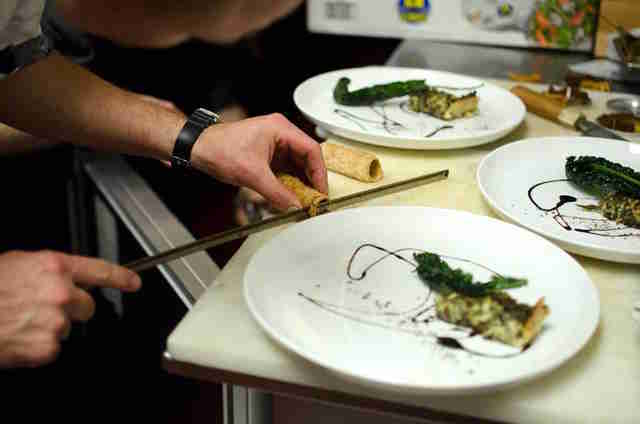 Restaurant Gwendolyn, helmed by chef Michael Sohocki, is serious about using local ingredients, being 100% sustainable, AND using only cooking methods and equipment that were available pre-1850, when the Industrial Revolution hit. This means no blenders, mixers, choppers, ice cream machines, deep fryers, or anything else with a motor or a plug. While Austin’s culinary scene is advancing at light speed, it would be refreshing to take a look back to see how we got here, and then wholeheartedly commit to a good-for-the-planet concept. Here, they are either unknown or referred to as a “bloody beer.” Get to know the legit michelada, a hangover-curing, Bloody-Mary-like blend of tomato juice (we prefer Clamato for texture purposes), lots of lime juice seasoned with anything from Worcestershire sauce, lemon juice, Tabasco, Valentina hot sauce, celery salt, Maggi seasoning, chili powder, and pepper. This savory mix served on ice and topped with a Dos Equis or Tecate can be found at any bar in San Antonio; each bartender has his or her own unique preparation... whereas in Austin, many phone it in with store-bought Bloody mix and then try to squeeze a sad, dried-out wedge of lime into it (the exceptions being great micheladas at The Jackalope and Takoba). 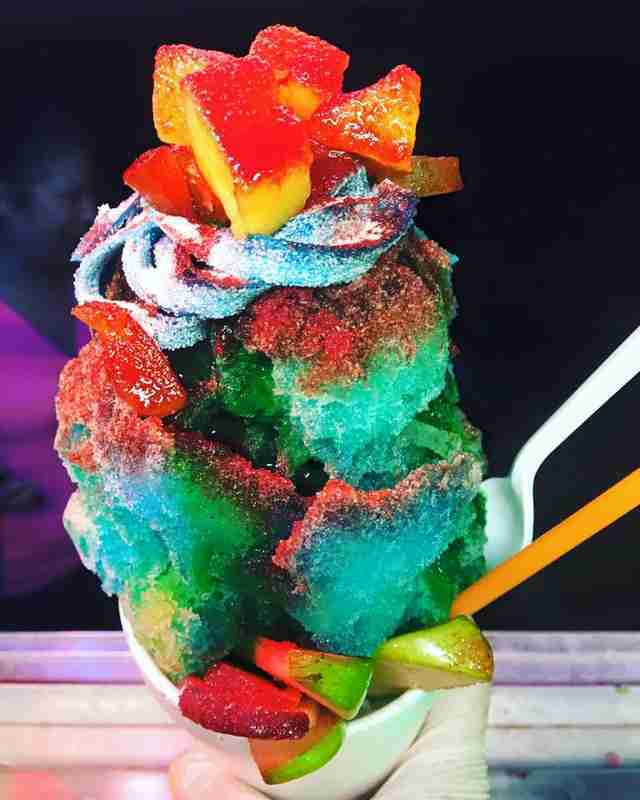 In San Antonio, raspas, aka snow cones, are king. But local artist Ana Fernandez and her truck Chamoy City Limits have taken the tradition version many steps further. Adults and children alike line up for hours to get a piccadilly or mangonada -- shaved ice topped with flavored syrups, pickled fruit, actual pickles, Chinese candy, or chamoy... almost all made in-house. While there are plenty of Mexican fruterias making raspas, and Casey’s New Orleans Snowballs making their own syrups, why not combine the concepts? We’ll wait here. Sadly, most of Austin is in tear-it-down-build-it-new mode due to the population influx and resulting increased property values. Many places in San Antonio occupy older buildings restored with respect to their old bones, like Frank, Cured, and The Esquire Tavern. 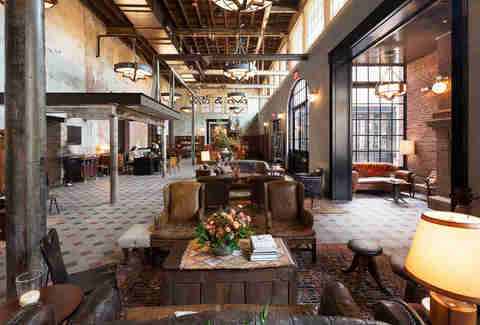 However, San Antonio’s new crown jewel, Hotel Emma (home to Supper, Sternewirth, Larder, and Southerleigh), has taken the concept of repurposing and made itself a towering and shining example to follow. The formerly abandoned Pearl Brewery is now one of the most beautiful and striking architectural feats in recent history. Austin comes close with the recent development of the Seaholm Power Plant and the gorgeous Boiler Nine Bar + Grill, but let us please continue this trend. No one wants to live in a city full of sterile, white boxes. Anastacia Uriegas is a San Antonio-born and -raised freelance writer who truly misses SA’s magic romanticism and folklore (shout out to my homegirl, the Donkey Lady!). Follow her tears to the only place in Austin that comes close...the crystal healing store: @anaurie.